With the Easy Clocking Xenio500 you can effectively track labor costs with the touch of a finger. Please call 1800 703 901 for a quote. Included with this WIFI Employee Time Clock are the Easy Clocking Cloud Time and Attendance Software, remote login cloud software training and 12 months factory back to base warranty on hardware. The Easy Clocking Xenio 500 Fingerprint Time Clock with WIFI is the employee time clock re-invented. Easy Clocking Cloud Time and Attendance Software help you manage your workforce and track employee time and attendance in an easier, more efficient and affordable way. This software can integrate with many Payroll Providers. The Xenio500 is packed full of features necessary for businesses operating in the world today. With the ability to effectively manage employee time and attendance and provide an overall increase in office productivity, the question to ask is can your business afford not to have a Xenio time and attendance system in place? This Xenio500WIFI time clock can also be connected to your computer via network cable. 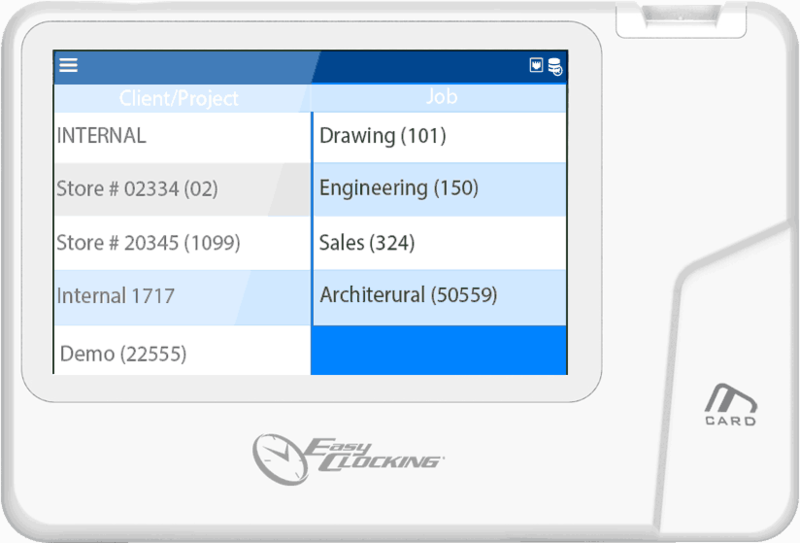 With the Easy Clocking Xenio500 Fingerprint Time Clocks you can effectively track labor costs for a specific client, project or job with the touch of a finger. - Calculate by Time or Employee Houly Rate or Specific Rate. All personal data is protected by secure industry standard encryption.